ZamReal Property Forum is taking place at the Radison Blu in Lusaka today, September 27, 2017, with key government officials set to attend the conference and discuss with local and international investors, issues that will drive development in the local real estate sector. 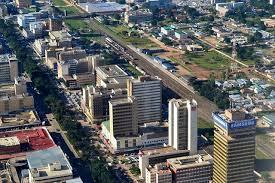 ZamReal Property Forum is recognised as Zambia’s go-to real estate event. The 2017 forum will be attended by over 250 delegates and 100 companies offering insights, thought leadership and solution-focused tools. Confirmed government speakers include Housing and Infrastructure Development Permanent Secretary Charles Mushota, National Pension Scheme Authority (NAPSA) Director General Yollard Kachinda, State House Assistant Director Project Development & Promotion Keeta Shisholeka, Kalulushi Municipal Council Director of Development Planning Gift Mukwenje, National Housing Authority (NHA) Director of Projects Anderson Zulu, Lusaka South-Multi Facility Economic Zone (LSMFEZ) Interim Managing Director Mukela Lubasi and Lusaka City Council Director Valuation and Real Estates Mwiche Mudala. In addition, the forum will examine the huge, unrealized opportunities driven by innovative technologies and end-user financing structures aimed at meeting Zambia’s currently undersupplied affordable residential real estate market.